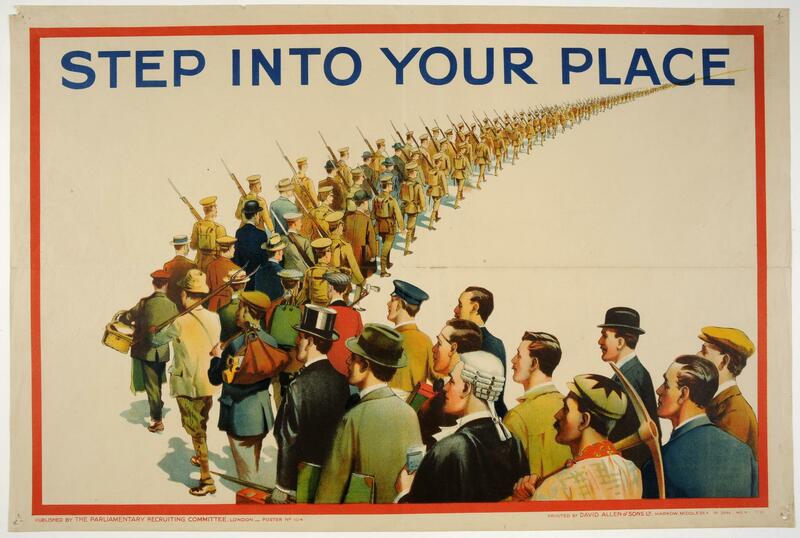 First World War recruitment poster; 'Step into your place.' Poster showing civilians of all social classes joining a long line of men who are being swiftly 'transformed' into uniformed troops. Published by the Parliamentary Recruiting Committee London; poster no.104.